T-Shirt Party continue their mission to create not-so-serious social commentaries on t-shirts with their 94th edition; Emotion. Wether intentional or not, this most recent design seems to be poking a finger at the smart-phone and social media generation and how they hide behind digital emoticons and chat boxes rather than displaying their emotions in more natural ways. 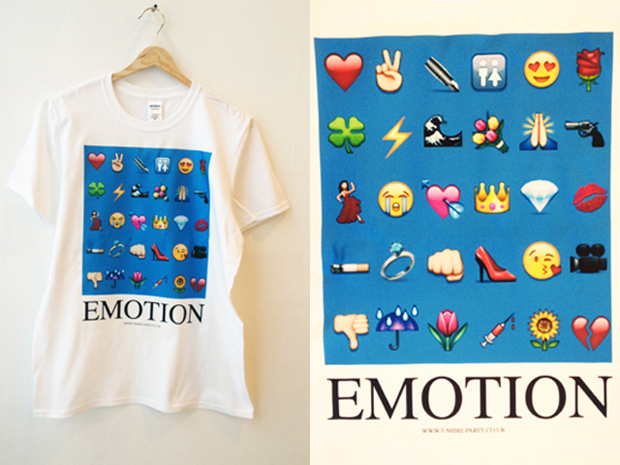 Or maybe it’s just a nice collection of cool looking emoticons on a blue backdrop? We will never know. As always, the t-shirt comes in at a modest £15 and is available direct from T-Shirt Party.